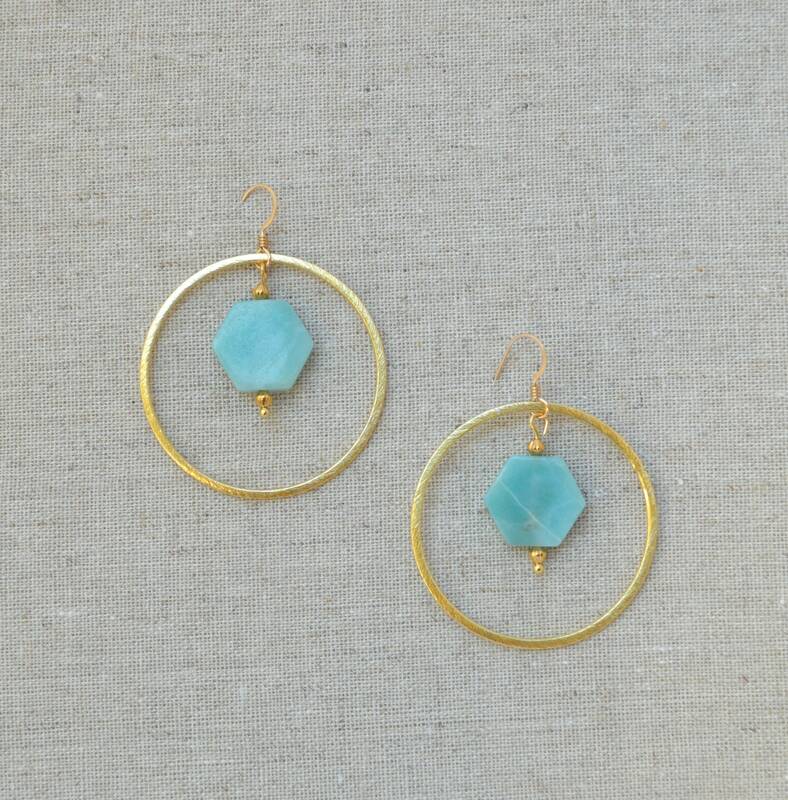 This features a beautiful hexagonal Amazonite Gemstone bead within a large dangling brushed silver/gold Circle link. 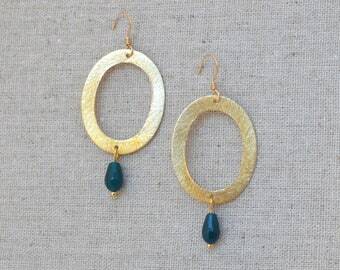 -Hexagonal Ammonite gemstone, 0.75 inches dangle between 2 gold plated bicone spacers. Beautiful colored gemstone! Love it!